Dante Alighieri, Italian poet, 19th century. 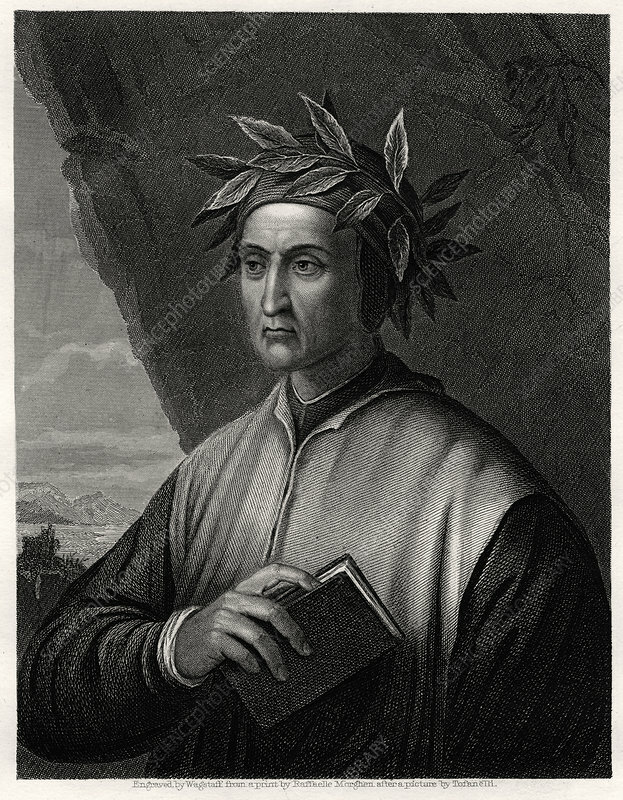 Dante (1265-1321) was the author of Divina Commedia (Divine Comedy), the great Italian epic poem which tells the story of Dante's journey through hell, purgatory and heaven, the three realms of the dead. Artist: Wagstaff.